Help! Rain, Wind, Hail Damage! Our Team Provides Expert Roof Inspection and Roof Repair in Austin and All of Central Texas. If your house is hit by a wind storm or hail storm, what do you do? Take it from our 30 years in Austin, even emergency roof repair needs professionals to insure long-lasting results.That’s why we’re asked by insurance companies to step in when a major storm hits, anywhere in Texas. 1. Don’t make big decisions in a hurry. If you have a leak, act quickly to get it repaired, but if your roof, siding or windows are not leaking there is no reason to make hasty decisions. Most hail damage does not present an immediate emergency and most insurance companies allow their clients one year to make necessary repairs or replacements. RoofCrafters is happy to make emergency repairs if needed—and to provide you with a thorough inspection and proposal to get your home or business back in top shape. We can get the process started even before an insurance adjuster gets to you! 2. Turn in a claim to your insurance company immediately. Your insurance company will be getting a lot of calls, so be patient with them. But be sure to get your name on the list. In large hail storms, it is not uncommon for it to take an adjuster two weeks or longer to get out to your roof due to their call volume. Waiting too long, however, can sometimes cause the roof to deteriorate and cover up signs of hail damage. This, in turn, could cause your damaged roof to be turned down by your insurance carrier. We’ll work with you to make the insurance process and work completion a seamless and easy task. RoofCrafters has a great deal of experience in working with its customers and their insurance companies to ensure that the coverage and exceptional service customers deserve is provided. If we see any discrepancies between our estimate and the insurance allowance, we will get in contact with your adjuster to resolve it and ensure your best interests are taken into account. A recent customer was so pleased with our ability to work effectively with his insurance carrier that he provided a testimonial claiming that he considers RoofCrafters to be an insurance policy on his insurance policy! 3. Get an estimate that feels right to you—and look at more than the price. While insurance companies may suggest two or three estimates, one may be enough in storm conditions. Just be sure that you don’t pay more than your deductible plus any extras or upgrades (i.e. new skylights, added ventilation, higher grade roofing)—and that your estimate is from a reputable company. Insurance companies spend hundreds of millions of dollars on storm claims; they know what roofing and structure repairs and replacements cost to do properly. If you’re tempted, but uneasy about accepting a low bid or a “too good to be true” discount, look closer. Hail storms bring out people and companies that run the gamut from inexperienced and uninsured, to those that are out right deceptive or unscrupulous. Be absolutely sure that everything the estimator or salesperson says is clearly written into the proposal, that they have thoroughly examined your structure or roof, and that they have a long-standing history and reputation in the community. Unfortunately, not every Austin roofing company is reputable. If problems arise with your contract and the company that offered it, will they be able to follow through on any promises or warranties on the roof repair they’ve done? RoofCrafters is rarely the cheapest bid, but you will find that we are the most thorough. We don’t believe in taking short cuts that diminish the look or quality of your home or business’ roof or exterior, and we will help you negotiate your settlement if we believe it isn’t sufficient to get your job done right. We’re more than Austin roofers: we also do Austin home remodeling and have the experience to make sure that all needed repairs are done right. We carry insurance, have an office where you can find us if you need us, and a friendly and experienced staff to ensure that both you and your job get the attention they deserve. We have talented, well-paid workers, carry insurance, honor our warranties, have 30 years of referrals to offer you—and we WON’T illegally pay your deductible or falsify invoices or documents. 4. Use a reputable roofing company. Check out the company you are considering carefully. Numbers of years in business, not just their employees’ combined years of experience, is extremely important. For the most part, companies that have managed to stay in business for more than 10 years are doing something right! Unfortunately, too often people communicate their track record in less than credible ways—and industry statistics tell us that the average roofing company is in business for 2 ½ or fewer years. It’s important to watch out for companies that spring up just to tap into business opportunities during hail conditions, and even local established companies that hire unknown or inexperienced help in an effort to ramp up their ability to do roof repair quickly. Listen for integrity and experience and don’t hesitate to ask for referrals. RoofCrafters has been around for 30 plus years. We have an office in Leander (Austin) with a professional and accessible Project Planning and office staff to support the work that is completed for you, both locally and in areas served by our Disaster Relief Team. We are here to stay. We have one of the best warranties in the industry and are able to offer extended manufacturer warranties on roof repair, window replacement, and other necessary remodeling. 5. Check with the Better Business Bureau. While the Better Business Bureau provides very limited information about a company, a company’s membership in the BBB can at least let you know that the company is rooted in Central Texas, that it’s in good standing, and that it has a public commitment to customer satisfaction. While it’s difficult to know what percentage of a company’s customers have expressed dissatisfaction and claims need not be substantiated, with a little additional research you can get a read on a company’s credibility and reputation. Let the BBB be one of many ways you assess a company’s credibility. RoofCrafters has been a member in good standing of the Central Texas Better Business Bureau since 1988. RoofCrafters has over 25,000 completed jobs both in Austin and in disaster relief areas—and many satisfied customers. We strive for 100% satisfaction and work hard to build the kind of relationships that will have us working in partnership with our customers when concerns arise. LESS THAN .05% have chosen to contact the BBB as their means of reaching resolution and each of these claims has been resolved. We’re happy when our customers are happy! Many manufacturers have rigorous certification requirements that a company must meet to be a top-rated contractor. GAF/Elk and Certainteed are examples of shingle manufacturers who challenge contractors to meet stringent requirements. Either way, having the conversation with a company representative offers you greater assurance that the company you are dealing with knows what they are doing. RoofCrafters was Austin’s First Elk Peak Performance Contractor and holds the GAF Top Master Elite Contractor certification. Now that the companies have merged we are Master Elite Certified for GAF/ELK. Additionally, we are certified by Certainteed, Owens Corning and others. You can rest assured that we’re more than just your average Austin roofing company. 7. If needed, call RoofCrafters for a second opinion. 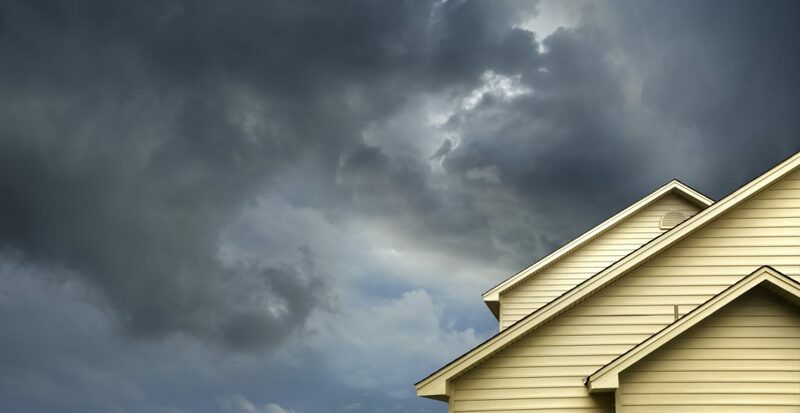 While hail can be capricious, damaging some homes and sparing others, if you have been denied a claim and all your neighbors are getting new roofs or exterior repairs, it might be a situation where the adjuster has made an error. Adjusters are only human, and they do occasionally make a mistake. Sometimes the way the light hits a roof makes it difficult to see the damage, and sometimes it takes additional rain storms to expose the actual damage. If you suspect that hail damage has been overlooked, a RoofCrafters Project Planner will inspect your roof and exterior. If hail damage is found we’ll meet with the insurance adjuster and negotiate the claim on your behalf. 8. Be patient with your roofing contractor. In large hail storms, reputable roofing contractors who utilize only experienced sales and craftspeople get behind due to the volume of work. Because most hail damage is not an emergency, it is worth waiting for the right company. In fact, it’s far better than turning to inexperienced people and/or people and companies with less than scrupulous business practices. Get your work done right, and make sure you have a company that will be there to make good on its warranties if problems do arise. If your roof is leaking, be sure to tell us and make that clear so your job is attended to as quickly as possible. RoofCrafters is committed to using its best and most experienced people, both in Central Texas and in areas served by our Disaster Relief Team. Many of our customers say we’re worth waiting for and many are repeat customers…because hail does strike the same areas twice. Please give us a call or ask for a free estimate today if you suspect hail damage! Thanks to a wild hail storm in March, I experienced some major roof and shingle damage to both my business and home roofs. Julian’s crew worked proficiently to remove the damaged roof and replaced it AND cleaned up, all in one day. They worked quickly and as non-invasively as possible and were extremely careful not to damage my wife’s beautiful landscaping and gardening. RoofCrafters, Inc. was also understanding in scheduling repair of my business at a time we were out of the office. I was so pleased, I recommended RoofCrafters, Inc. to my mom. Thanks for a job well done! – Paul Lounsberry, Jr.